If you’re revisiting this blog, you already know just how important the ongoing creation of content is to implement a predictable sales growth system, multiply lead generation and increase your win rate. Of course, Imagine is in the content marketing business so it’s easy to write off our ability to create good content quickly. The reality is that Imagine didn’t start off in the content marketing business. Frankly, I would have never predicted we’d be creating content for other companies when I started Imagine. We became a content development provider because clients would regularly ask me how we create so much content so quickly. While writing has always come very naturally to me (in many ways, it’s how I think), I realize that this is not true for many very bright people. From my experience, in the business leadership world, writing is feared more than public speaking. One of the biggest obstacles to quickly creating good content is a lack of clarity how who you are creating relevant content for. If you’re not clear on who your audience is, then the only thing you can write about is yourself and your products – and that’s not particularly interesting to anyone. Why we’re the best choice to implement the solution and solve the problem. With this messaging clear, it solves the second most common barrier to writing good content quickly – what to write about. When your messaging is clear, it becomes fertile ground for creating topics to write about. While Imagine abides by this tip for all of the content we create for clients, I’ll admit that I don’t always follow this tip when creating content for myself, but when I do I’m able to create 1/3rd the time. Thinking ahead about what we’re going to write about not only makes it easier to start writing, it primes the pump before the writing even starts. 4. Keep an ideas/challenges journal. We use trello.com for this. Everyone on our team is able to contribute to our ideas tab where they can share ideas for content, or challenges that they’re facing with customers/prospects. These ideas are then reviewed when creating our editorial calendars. 5. Have a content meeting with your sales team once a month. 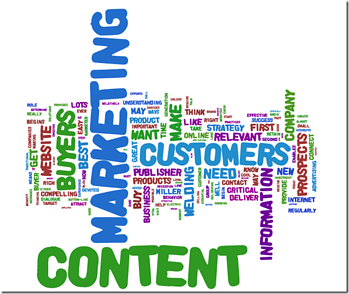 The key to creating effective content is to ensure that it is both relevant and utilized. Your sales team should be a breeding ground for content ideas. They deal with customer challenges and issues everyday. When you first start talking with your sales team, don’t be surprised if they struggle to come up with ideas. Keep asking (and demanding if necessary) and soon you’re challenge will be having too much to write about. What if you don’t have a sales team? Once a month, sit down with everyone who is responsible for growing your customer base and discuss the challenges your customers and prospects are facing, as well as the challenges they’re facing to close more business. What if you are the sales team? Once a month, sit down by yourself and go through the same conversation. What is the intent of the piece? Who is it written for? What is the one (and only one) thing we want them to remember from reading/seeing this? What is the one (and only one) thing we want the to do as a result of reading/seeing this? The biggest barrier I’ve seen watching non-writers try to write, is their struggle to get the first words down on paper. Don’t self-edit. Write the body of the piece first if that helps. This post is a great example. I created by list, before I even though about how I was going to start it. The key to writing quickly is to, well, write quickly. Write a rough draft as quickly as you can and give it to someone to comment on. Then rewrite the piece. Taking this approach will eliminate 25-50% of the frustration of creating content. Content marketing is a marathon, not a sprint. There is no single piece of content that will make you, nor is there any single piece of content that will break you. Remember, you are your harshest critic!